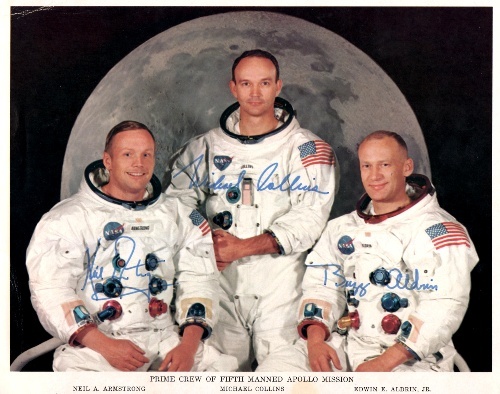 Apollo 11 mission was conducted by a crew. The commander was Neil A. Armstrong. The command Module Pilot was Michael Collins. The lunar module pilot was Edwin E. Buzz Aldrin. The lunar module used in the mission was eagle. Columbia was the service or command module. 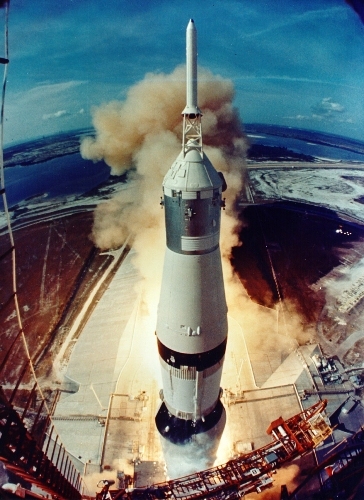 Apollo 11 mission was launched on 16th July 1969 at 9:32 am. The location of the spacecraft launching was from Launch Complex 39 A, Kennedy Space Center in Florida. 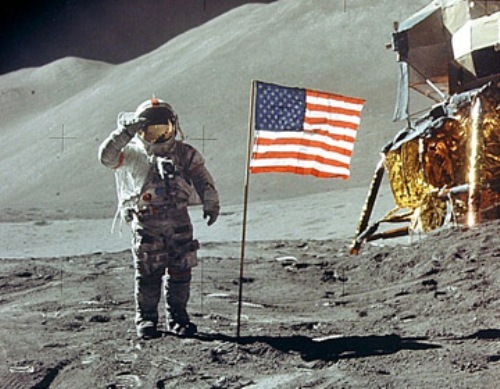 The spacecraft landed on the moon on 20th July, 1969 at 4:17 pm EST. The television viewers at that time when the first step of moon landing conducted by Neil Armstrong were the largest audiences ever watched. It is estimated that there were billion people not only in US but also other parts of the world watched this magnificent event. Until this present day, the name Neil Armstrong is always recognized by people as the first person who makes the first step on moon. The first step was conducted at 10:56 pm. It was on 24th July 1969 at 12:50 p.m., the crew of Apollo 11 mission returned to earth. Apollo 11 mission took several payloads with them. You can see that the crew had placed flags of the 50 states, two large American flags, flags of member nations of the U.N., flag of the District of Columbia and U.S. Territories, EASEP and television camera to record the first steps. The crew did not return on earth with empty hand. What they did on the moon was collecting 50 pounds of lunar soils and rocks. As I have stated before the television camera was brought by the astronauts to capture of the images of the first step on the moon. It was a very memorable live images broadcast. Michael Collins was the CSM pilot; he was air force lieutenant colonel who remained on in the lunar orbit during the moon mission with Armstrong and Aldrin. 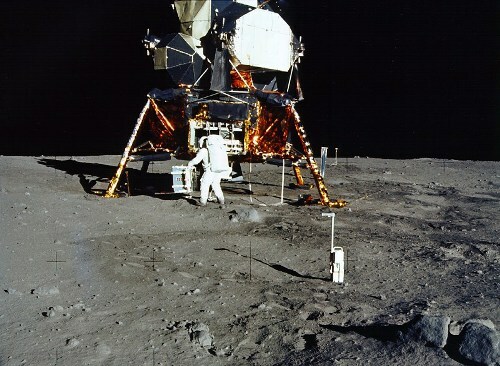 Armstrong and Aldrin walked away from the moon to return on earth after 2.5 hours of moon walk. There was a plaque too placed on the moon surface. It had an inscription of “Here men from the planet Earth first set too upon the moon. 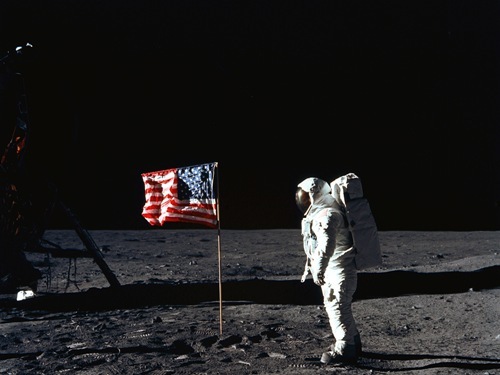 July 1969 A.D. We came in peace for all mankind.” Please give me suggestion on facts about Apollo 11!